Have you ever dreamed of earning a living while enjoying your favorite hobby of MMO gaming? Well some people have made that dream a reality. During my time in the MMO world I’ve met hundreds of players and many of them have had the ingenuity to create robust careers that offer an impressive return on their investment in MMO games. The traditional approach involves selling in-game currency and items for real life cash. I remember a story a while back where a Chinese gamer spent $16,000 on a virtual sword in the recently released Age of Wulin, an incredible amount of money to spend on a free MMO title. Gold selling on the other hand needs no introduction, practically every seasoned MMO player has seen flooded chat systems with URL’s, poor English and overpriced game gold. However, as gaming evolves so do the techniques and options available to these budding entrepreneurs. 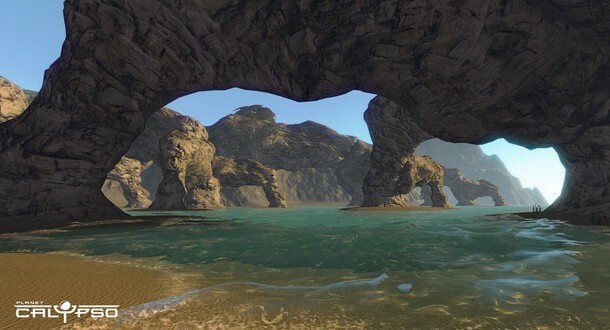 One of the more unique opportunities is with Planet Calypso, a rare MMO that gives players the chance to earn in-game cash that can be translated into real money. One individual has invested over $1 million into the game and has seen a return large enough to avoid him ever having to find “real” work. Have you ever tried making cash playing your favorite MMO? Does the opportunity of a real cash economy get you excited? Leave a comment below.